Logistics & Warehouse - Punches for Warehouse Shelves | Tipco Punch Inc. 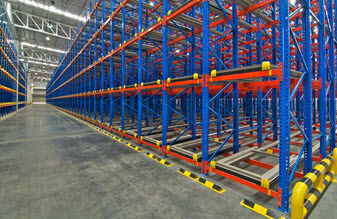 The proliferation of e-commerce fulfillment centers has created significant demand for new racking, shelving, and storage systems. Manufacturers supporting warehousing and logistics operations have long relied upon Tipco to supply qualified shapes to support their perforating needs and demands regarding roll-forming and conventional metal-forming operations. For example, Tipco supplies keyhole punches to leading manufacturers of standard and engineered racking systems.